Each week we’ll feature a different travel company brochure and compare how well they’re selling the 15th Anniversary experience. 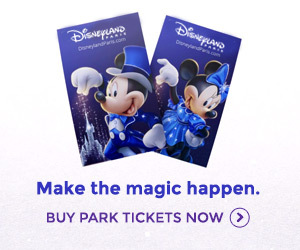 Disneyland Resort Paris’ advertising campaign for the 15th will be their biggest ever, but the brochures are where the bookings come from, and outside travel companies give the resort a huge amount of business year after year. Many people also pick up an “unofficial” brochure before then booking direct with the resort anyway, providing a nice piece of (almost) free advertising. Since I’ve only got access to UK brochures, if you’re reading this on the continent and have spotted the 15th Anniversary in your local brochures, send them in! The 15th will hopefully be a Europe-wide event, so it’d be good to get a bigger picture on how they’re doing. You can send images direct to today@dlrpmagic.com, and I’ll be sure to credit you if they’re featured. This week, its Thomson, one of many companies owned by TUI AG of Germany, and their October 2006 to November 2007 brochure. It was only recently that Disneyland Resort Paris began to allow outside travel companies to use the Fab 5 (except Mickey) in their brochures and advertisements – previously they were stuck with generic children, Princesses and “lesser” Disney characters, with key visuals for parades and shows altered to replace Mickey with, say, Chip and Dale. Now, though, the rules appear to have been relaxed and Thomson are wasting no time in using the classic characters to market their products. The Donald Duck key visual we presented on Thursday is used to create a beautiful, very striking cover that is totally different to Thomson’s other more restrained covers. They’ve kept the cover free of anything other than their logo and the brochure dates, so all emphasis is on Donald, the castle and the large “15”. Great stuff. The contents page is nice and simple again, and features the 15th Anniversary key visual with a small piece of text about the events – even though this is the first brochure we’ve seen, you’ll notice throughout that the anniversary is mentioned absolutely everywhere. It’s a bigger marketing push, perhaps, than even the opening of Walt Disney Studios. The most important page for this – the 15th Anniversary double spread. It’s got all the visuals and the creative texts and generally does the job well. It puts emphasis on the great “Kids Under 7 Go Free” offer (available throughout next year) and even mentions Extra Magic Hours. It could have been designed better though, since the Once Upon a Dream Parade and Cars Race Rally images are on the opposite pages to their descriptions and the wavy edging of the images removes some of their professional style. The Tailor Made Dreams page uses a nice image of Mickey and Minnie, but the lengthy text isn’t very inviting – a quick summary at the top of what this programme is all about would have been better. The logo for Tailor Made Dreams is featured again on each hotel page, though, which is a nice touch. Disney’s Once Upon a Dream Parade is featured again on the Shows & Events page, but its on the Park Introduction pages that Thomson score points, since both pages feature a summary of the 15th Anniversary events on offer at each park. Unfortunately, they do have small mistake on the Walt Disney Studios page – Crush’s Roller Coaster? Not good. So, as our first brochure, it doesn’t do too badly at marketing the 15th. Even if the page design is a bit clumsy and the information not very readable, the nice front cover should draw people in to this one and make sure they know what’s going on in Paris. Hopefully, the constant presence of the anniversary throughout the entire brochure will be be a trend through all the brochures. The year to live your dream is the year Disneyland Resort Paris really need to see some positive financial results, and Thomson have kicked off their anniversary advertising well enough. If you’re in the UK, you can order the Thomson brochure here.